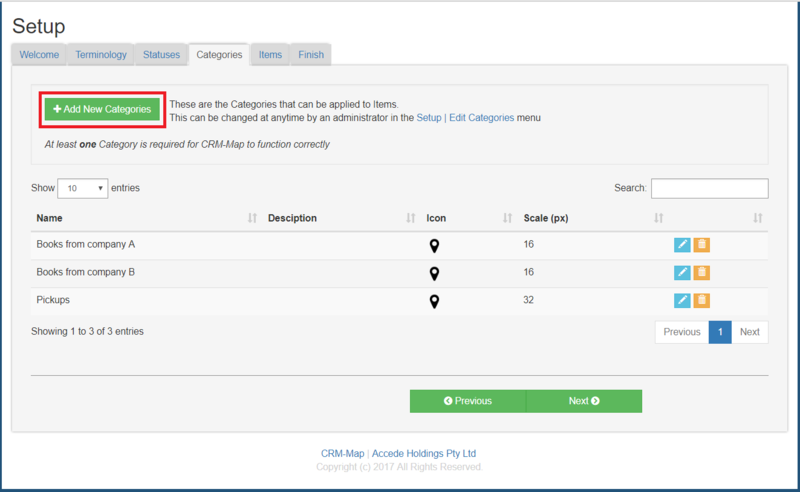 Editing and Updating Categories and Icons in CRM-Map needs to be performed by an Administrator. Before starting, make sure you have your Icon Image file ready. Keep your image files to less than 0.5 MB. Select Setup, then select Edit Categories. Icons are associated with Categories. If you wished to edit a category click on the little blue pencil icon. If adding a new category, type in the category name and description. Now select Upload New Icon, if you wish to upload your own icon. To link the icon to the category, select the icon then select Save.